Between 1803-1806 the first Russian circumnavigation took place. The author of the idea for the expedition, as well as its leader and captain on one of the two ships was the Baltic German nobleman Adam Johann von Krusenstern, born in the Governorate of Estonia. In addition to its many scientific goals, the expedition was also meant to establish economic and diplomatic relations with China and Japan, as well as find a more efficient way to supply the Russian-American Company and raise Russia into the circle of naval powers. 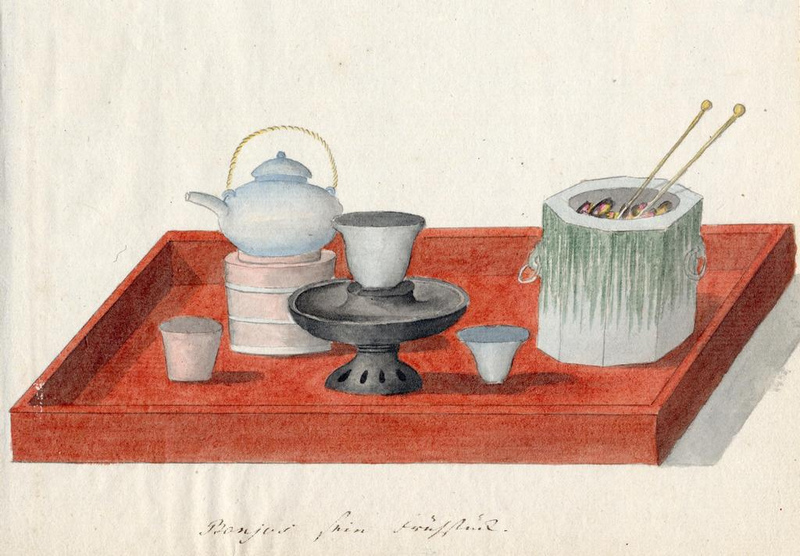 These watercolour paintings originate from Hermann Ludwig von Löwenstern’s diary, who was a lieutenant on the ship Nadezhda, captained by Krusenstern. They have been attributed to Löwenstern himself as well as the scientist Wilhelm Gottlieb Tilesius, who participated on the expedition as a botanist and artist.